It’s pronounced “Marvel-rye”. Okay, that is a minor spoiler but only from the third page; this feels as a good a place as any to start a review of this book. I’m a fan of Brhel and Sullivan’s work – I am referencing their previous anthology, Tales from Valleyview Cemetery. Wasting no time since releasing that pleasant jaunt into the macabre, the talented writers have offered a new collection of short stories, albeit with a slightly different approach. This book is fun. I know that seems to be a lacking descriptor for this work, but please, allow me to elaborate. Valleyview was an intelligent, well-planned and executed collection of macabre short stories. 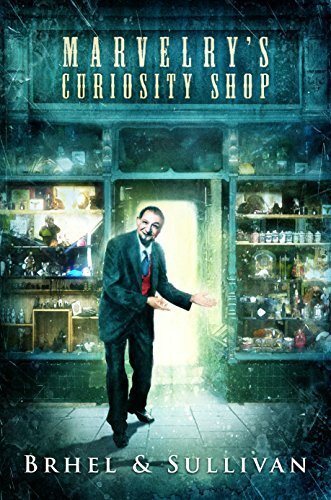 Marvelry’s Curiosity Shop, while intelligent, also has at times, a young adult – even childlike feel to it, akin to Neil Gaiman, or even the whimsy of Clive Barker (think Thief of Always) yet the stories are founded upon the underlying feelings and subject matter of adults. The stories vary in their weaving of horror – from your stock-and-trade slasher grit to the subtle, even melancholic explorations into past love and relationships. The book evokes feelings of mystery, and even in the more light-hearted sequences of some stories, there was always an underlying feeling of possible impending dread. The stories themselves array in such a fashion as to keep the reader feeling those emotions and questions through the entire book; it is a horror anthology, and those elements are in the book, but they are woven in a very articulate fashion, rather than the usual bucket-of-popcorn-and-rollercoaster trajectories of modern horror. Without a doubt, it is the titular character, Mr. Marvelry, and his mystique that lends the feelings of childlike wonder and disturbia. My references to the aforementioned Mr.s Gaiman and Barker will be quickly ascertained once you get through a few stories; other notable authors this book reminded of are the young adult powerhouses Lois Duncan and R. L. Stine. It is Mr. Marvelry’s aura that is the keystone to each story. I am a sucker for continuity and author “easter eggs” – miniscule, off-handed references to previous stories or books; what would – at a casual glance – appear to be throwaway lines – and just as in their last collection of tales (Valleyview), Marvelry’s Curiosity Shop gave me plenty to recollect and pay rapt attention! 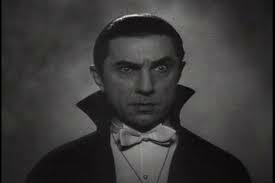 Note, however, that these references are innocuous, and there is no requirement to read the previous book. But, if you have read Tales from Valleyview Cemetery, then you will be rewarded – at least with a sense of mental bearing and location. Another technique in which Brhel and Sullivan excel is the use of non-linear format with their narratives. The stories do not necessarily occur in chronological order, but the descriptive and subtle references to previous items and characters give the reader an honest sense of involvement with the stories, as you mentally piece together a timeline in your mind. In one hand, the stories are non-linear, however, in the other hand, they still tie-in together seamlessly. 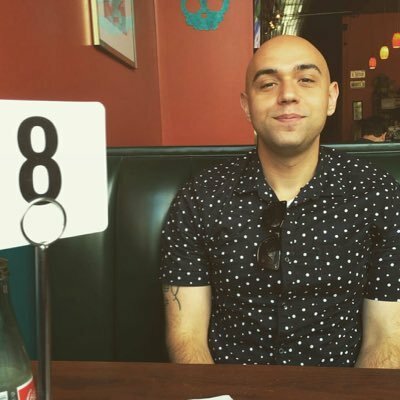 John Brhel; a refreshing voice in the indie publishing world. The items. As an avid fan of the 90’s t.v. show Friday the 13th: the Series, the title and cover artwork of this book instantly had my brain working, thinking of that wonderful show from my childhood. While Mr. Marvelry did not, in fact, make a deal with a dark deity (at least, not directly), there is a mystery about the various items in the shop, and I was constantly examining the character of Marvelry, wondering if he was fully aware of the events and items. Another comparison that has sprung to my mind would be if Neil Gaiman or Lois Duncan had written a fantasy alternative history of Robert Ripley. That’s as far as I’m going with this line of thought. Read the book. Fun. That’s a wonderful descriptor for this anthology. Enjoyment; there is another descriptor. There were no dull stories, and never a boring moment – this book was a fun read, from cover to cover, with a writing style that is intelligent, wholly unique, and quite refreshing. 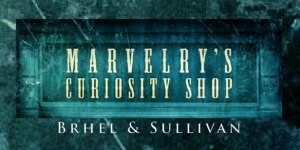 Marvelry’s Curiosity Shop is available on Amazon in paperback or digital format.